Public sector management (PSM) is about ensuring that the machinery of the public sector works efficiently and effectively. This is crucial because it can enhance—or undermine—a government’s ability to deliver results across all sectors. Poor public sector management leads to poor public sector performance: the suboptimal provision of public services, in terms of equity, access, and/or quality. This is particularly worrisome for the disadvantaged, as they rely disproportionately on public services. Oftentimes, PSM is separated from public financial management (PFM) for organizational and management purposes. While the former encompasses the entire functioning of the public sector, the latter focuses specifically on the mobilization, allocation, and use of public resources. However, such an inorganic divide creates a false dichotomy that PFM reforms have limited impact on the core functioning and performance of the public sector. In fact, nothing could be further from the truth. One example of the overlap between PSM and PFM is accounting standards. A core feature of PFM, accounting standards systematize otherwise disparate accounting policies, allow for the presentation of comparable and transparent financial information, and minimize subjectivity and opacity in financial information. But, as explained below, accounting standards also do so much more in terms of ensuring public sector performance. Public Sector Accounting is a cross-cutting aspect of various blocks of PFM. It communicates the financial results and health of a public sector entity through financial statements. Since the 1980s, there has been a gradual change in governments’ approach to public sector accounting, with many countries around the world, shifting from cash-basis accounting to either modified or full accrual-basis accounting. 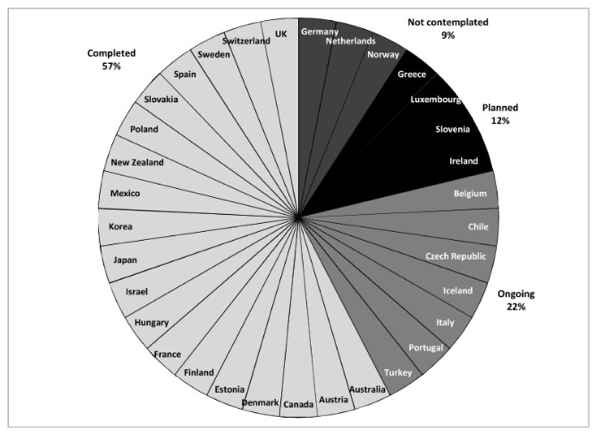 According to Accrual Practices and Reform Experiences in OECD Countries, published by the Organization for Economic Cooperation and Development (OECD) and International Federation of Accountants (IFAC), as of 2016, approximately three-quarters of OECD countries have adopted some form of accrual accounting for their financial reporting. This trend can be seen among non-OECD countries as well: annual financial statements in countries as diverse as Brazil, Ghana, Indonesia, and Kazakhstan currently use full or modified accrual basis. Parallel to this growing momentum has been the establishment of public sector accounting standards, with the International Public Sector Accounting Standards (IPSASs) gradually becoming the “gold standard” for public sector accounting. The way in which a government chooses to structure its accounting processes has significant impact on the overall state of its PFM systems. The adoption of accrual-based accounting allows for the measurement of the value of medium- and long-term assets and liabilities. This helps stakeholders better understand future benefits and risks stemming from current government decisions and policies: for example, the setting-up of public-private partnerships (PPPs). Governments are gradually realizing that the adoption of the accrual-based approach is far more than an accounting reform. It is a way of fundamentally transforming PSM and decision-making processes. Standardized, comprehensive financial information is a key tool that governments can use to ensure macroeconomic stability, optimize use of limited resources for improved service delivery, and build transparent and accountable institutions. This ultimately leads to the better performance of the public sector, with consequences far beyond the reach of accountants’ desks. Transparency and Accountability: Facilitates external oversight of government expenditures, boosting trust in government and improving policy outcomes. One of the most important benefits linked to the adoption of accrual accounting is the improvement of a government’s capacity to manage fiscal risks. Governments require comprehensive, reliable, and timely information to be able to identify, mitigate, and manage fiscal risks in a timely fashion. This includes data on the performance of PPPs, state-owned enterprises (SOEs), and subnational governments, as well as a wider range of transactions stemming from the government’s economic activities. The fiscal crisis that shook the world over the past decade has shed light on the size and potential significance of previously unreported or underreported fiscal deficits and debts, as well as on the crystallization of contingent government liabilities on a massive scale. From this experience, consensus is now developing in the financial community on the need for strengthening, promoting, and monitoring international accounting standards within the developing and developed world to allow for better fiscal risk management. The International Monetary Fund’s (IMF, 2017) Analyzing and Managing Fiscal Risks—Best Practices argues for the need of governments to obtain and analyze more complete information on fiscal risks to be able to better manage them. Crucial to this is the development of comprehensive public sector balance sheets that cover financial and non-financial assets and liabilities. Such balance sheets need to capture changes not only in the volume and value of current assets and liabilities, but also in the present value of future revenue and expenditures stemming from long-term assets and liabilities. A key prerequisite to the preparation of balance sheets (and one of the elements of the G20 Data Gaps Initiative)—including short- and long-term assets and liabilities and consolidating information from different levels and entities of government—is accrual accounting. PPPs: while risk realization episodes of PPPs are generally low in number and cost, PPPs are increasingly being utilized, increasing their potential to generate larger fiscal costs in the future. A second benefit linked to the adoption of accrual accounting is improved reporting of accurate financial information from decentralized public service delivery units. This is critical to be able to assess performance, address bottlenecks, and improve the quality and coverage of public service delivery. Over the past several decades, governments throughout the developed and developing world have increasingly transferred responsibilities for the delivery of public services to subnational levels of government. The objective behind this decentralization has been to ensure that decision-making around the allocation and use of public resources is made at the subnational level, closer to the actual beneficiaries. This functional decentralization has generally been accompanied by fiscal decentralization. This process has created new challenges, however: obtaining comprehensive information on financial transfers from the federal level to decentralized levels of government is not easy. Without a clear picture of such financial flows it is difficult to hold government to account for public service delivery. For instance, a recent World Bank study on sectoral PFM systems in the Province of Buenos Aires tried to “follow the money” behind provincial-level service delivery in Argentina, the majority of which comes from various forms of central government transfers (including Argentina’s so-called, “coparticipación”) and a number of different taxes and fees collected at the provincial level. 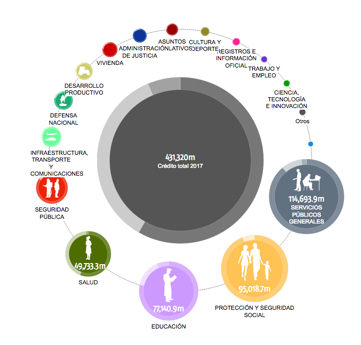 This analysis was complicated by the fact that, in Argentina, municipalities are also increasingly responsible for service delivery, with funding coming from provincial government transfers (including municipal coparticipación), national government transfers through earmarked public service funds and programs, and various fees collected within the municipality. Besides tracing the financial flows themselves, obtaining information on the usage of such funds is even more complicated. Lack of financial information on how resources have been provided and used for service delivery undermines the planning and management of services, breaking the feedback loop between performance and evidence-based course corrections and future programming. It also likely increases the inefficient use of resources and, thus, a reduction in the provision of services given limited fiscal space. Accrual accounting allows for the timely capture and analysis of such information, by consolidating all levels of government finances, from central government down to public service delivery unit. Finally, a third benefit linked to the adoption of accrual accounting is improved transparency and accountability. From the Open Government Partnership to the International Budget Partnership’s Open Budget Index, and the Global Initiative for Fiscal Transparency, there is growing momentum both at the national and multinational level around the budget and fiscal transparency and participation agenda. When implemented properly, transparency and participation have been shown to promote greater accountability around the use of public funds; prevent corruption by maintaining high standards of integrity; increase trust in government; and encourage better fiscal outcomes and more responsive, impactful, and equitable public policies (OECD 2017). It also allows for more informed, inclusive debates about the impacts of budget policy on the lives of citizens. For example, thanks to the U.S.’s Digital Accountability and Transparency Act of 2014, citizens can now access easily understandable, disaggregated data on government expenditure. With this information, they can engage in evidence-based discussions with their elected national representatives on government spending priorities and petition for policy changes based on hard data. Information is power, regardless of whether your point of reference is the public or private sector. Citizens, and non-state actors that represent them—i.e. the media, civil society organizations, and community groups—are increasingly demanding full access to information to optimize their economic decisions to be able to participate in evidence-based decisions around the best use of limited development resources, and to ensure that their governments are indeed working in their best interest and delivering their needs and demands. Against a backdrop of increased citizen demand, more open government, limited public spending capacity, and increasing efforts to achieve greater efficiency in delivering public services, high-quality financial reports are essential to ensure that governments make fiscal decisions based on up-to-date information and an accurate understanding of their financial position, and are the mechanism through which legislatures, auditors, and the public at large hold governments accountable for their financial performance. Application of international accounting standards, combined with other measures strengthening PFM practices, can significantly contribute to the improved management of fiscal risks, more efficient service delivery, and the capacity of societies to held their governments accountable. In this way, international accounting standards represent a classic example of global public goods that serve as a pre-condition for broader reforms. Ultimately, they help ensure that governments are working efficiently and efficaciously to advance economic growth and ensure prosperity of their citizens. The importance and role of such global standards are often underappreciated, because “consumers”—citizens, in this case—do not fully understand the “value-chain” that links them to their daily lives. Indeed, we hardly think about international accounting standards, when assessing our government’s capacity to educate our children or support our community, just as few people think about the research and development that went into the production of the medicine they purchase at the pharmacy. Yet, despite this lack of visibility, taking such standards out of the equation can significantly jeopardize the basis of reforms, turning what could potentially become a mighty fortress into a sandcastle. Given the universal and public nature of international accounting standards, the World Bank Group and other international financial institutions (IFIs) have a key role to play in supporting and guiding standard-setting organizations, such as the IPSAS Board, as part of their strategic focus on development and dissemination of public goods. Furthermore, acting at the national level, IFIs and other development partners can help governments adopt and implement such standards, as part of their engagements supporting government-led reforms. But governments themselves need to change their way of thinking when it comes to accounting reforms. As they aim to boost their capacity to deliver crucial public services in an increasingly constricted fiscal environment, and to use limited resources wisely and strategically, their decisions need to be based on credible data and demonstrated need, not anecdotes. 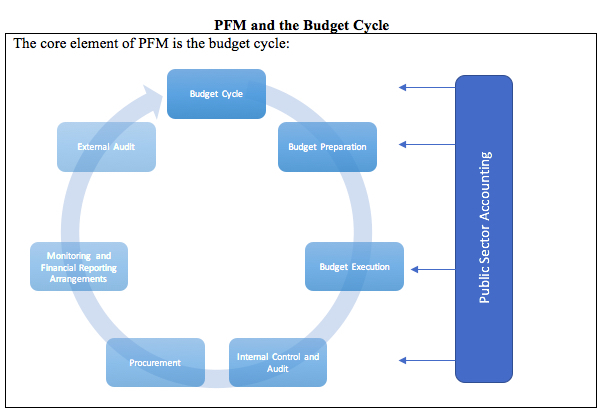 By realizing that accrual accounting can function as a crucial tool in the broader PSM-PFM toolkit and in helping achieve these overarching objectives, governments will be able to demonstrate sustainable results anchored in objective, measurable reality. Most importantly, they will be better able to serve their citizens in a responsible, impactful, and transparent manner. Svetlana Klimenko is a lead financial management specialist at World Bank. She works on issues of public financial management, accounting, and auditing in the public and private sectors. She represents the World Bank on the Oversight Committee of the International Internal Audit Institute, and is a secretarial member for the IPSASB Public Interest Committee. Prior to joining the World Bank Group, she was a manager for Deloitte. She holds a master’s degree in economics and engineering, and is a certified public accountant. Daniel Nogueira-Budny, PhD, works for the World Bank on issues of governance and public sector reform. He has published in the fields of fiscal transparency and good governance and holds degrees from Columbia University, Georgetown University’s School of Foreign Service, and the University of Texas at Austin.